Claim: this photo was taken inside the Taj Mahal. The claim is false. 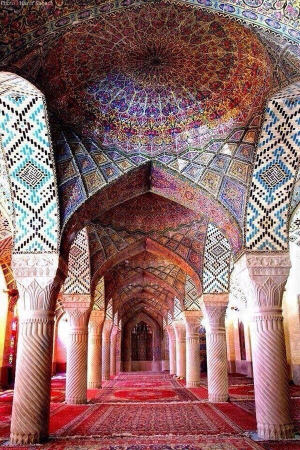 This is a photo of Nasīr al-Mulk Mosque in Shiraz, Iran by Andrea Taroni. Debunked by @PicPedant on Twitter. For more details, see this post by Hoax Of Fame.